2017 was a very quiet year on the performing front. In fact all aspects of the active side of the band took a long overdue break. But during this period it became apparent that while not songwriting, we could actual tidy up some of the projects on the back burner. As part of this break, Chrissie took off to the NZ Pacific Studio for a few days and returned home with the beautiful, slow instrumental album Twohandstwice. Five improvised recordings on an ancient pedal organ. It could be Music for Ports if you will, a contact mic on the lungs of trees, a galleon that sings to the sea in the pitch of night, the play of first light. Next up is Haters, Wreckers and other Friends. This is a collection of the most recent solo mr sterile recordings, that were found lurking in files inside a computer. A mixture of more rock songs, mixed with electronic and downloaded app application. And finally there is The General Pathetic. This album was recorded on the quiet somewhere around 2012, but the finishing never felt completely complete. So this album, along with the other two, received a new mastering by Warwick Donald to add the little extra oomph they needed. And it’s certainly worth it. The General Pathetic is a little more lo-fi than Haters, but is the obvious precursor of many of the techniques used on Haters, so they sit like a happy family … if that’s an appropriate metaphor for this grumpy pair. All albums have a limited edition physical release. Each is assembled into a hand-fashioned card sleeve alongside a collection of images for extra info. It’s great to have these done, now the attention turns fully to new song writing and already there’s some strong new tunes bursting at the seams. We are really looking forward to playing them out. It’s been a fair while since any update. Seems like we took a year off. So feeling rested, reorientated and recuperated we hit the sticks again, with a bunch of new project. First a number of shows coming up – Wellington, Whanganui, Palmerston North, Christchurch, Dunedin and Invercargill. Plus we are in the early stages of planning for a much bigger tour at the end of the year. We have a new look, some new stories and tunes to present to you. And there are two new solo albums and one remastered album to be released on the bands own label skirted Records. The first is beautiful new atmospheric and acoustic collection of five pieces of sound from DSLB, piped out from bellows over the green pasture of the Manawatu. The album is called TwoHandsTwice. The second is Haters, Wreckers and other Friends by mr sterile. The most recent collect of random ramblings compiled into one particularly rock collection. Putting the uncomfortable in to the comfort zone. UPDATE: And already these’s a nice wee preliminary review from the Organ Mag in London! And finally is a new remastering and repackaging of the mr sterile solo album The General Pathetic. More lo-fi and chaotic the album spans the some of the solo sounds from 2005-2012. Munki Studio, the home of the NZ’s Secret Intelligence Service, the facility in which we are recording our newest album is in transition. The studios time has come to an end in this current facility and is destined to move in the next few weeks . The building is going to be demolished and included into the park adjacent. Munki is the studio where we recorded Transit four years ago(much of the art work from that albums package is the hallowed halls of Munki), and the home of the newest album in progress. We are MOST chuffed to be asked to return with all equipment and to lay down the last actual studio recording. This we did recently, and we were accompanied by the full surveillance of cameras and microphones that documented this final process. All this footage is going to be compiled into the historic document of the end of the old house of spooks, and the cultural significance it has had for many local creative types. And as a last bash, there is going to be a final party to send the old ship off, this is going to be at Munki across 3 different staged sites. We, among many, will play brief set, to which will be film and broadcast live over the web (I understand it will remain for view after the fact as well). This is all happening today! Saturday 22 August 2015! So you can watch online tonight with your dinner if your elsewhere – streaming starts 4pm NZ time. As far as the album goes, we are not quite complete of the recording process, perhaps one more session to finish of the vocals etc and then we will be done. This is going to have to happen when the Munki resettles into the new digs in Miramar. But it’s sounding ALL good mate! So to Mike, Flo & kids, and all the spooks from the nations paranoid history, you treated us real well. We have just completed our intensive period at Munki Studios laying down the 11 rhythm tracks for the new album. There was, obviously, some anticipation about this process (you may have noticed that we do write songs with stupid parts sometimes). With only the bass and drum kit to focus on, time was able to be allocated to get the maximum, and most interesting, sounds – success!! The phrase ‘better than anticipated’ comes to mind. It’s definitely exciting hearing it come together so solidly. Watching as all the versions were recorded -errors and all, it seemed we had collected somewhere in the vicinity of six hours of playing; only about 45 minutes of that is what we need for the album. It was certainly an act of endurance -think of it as six hours of five-nine minutes sprints and you’ll start to get an idea of the effort exerted. We broke skins, sticks, skin and cymbals. We played hard, dynamic, and like there was no next take. Well chuffed we are! Our crowd-funding project for the production of the CD package continues. To date there are 54 confidence-enhancing contributors. Today we breached the $2k mark – 70% of required target. There is still two weeks to go. If you feel you are able to contribute then we would love you to take a look at our Pozible page which provides much more information. With our added confidence we are exploring upgrading our CD packaging, more about this later. We’ve included a wee video to this page with a bit more info on why we think this a good project. It’s be a monumental few days. Feeling both knackered and elated at the same time, we think we’re definitely making something here that’s gonna give Transit a decent run for its money. 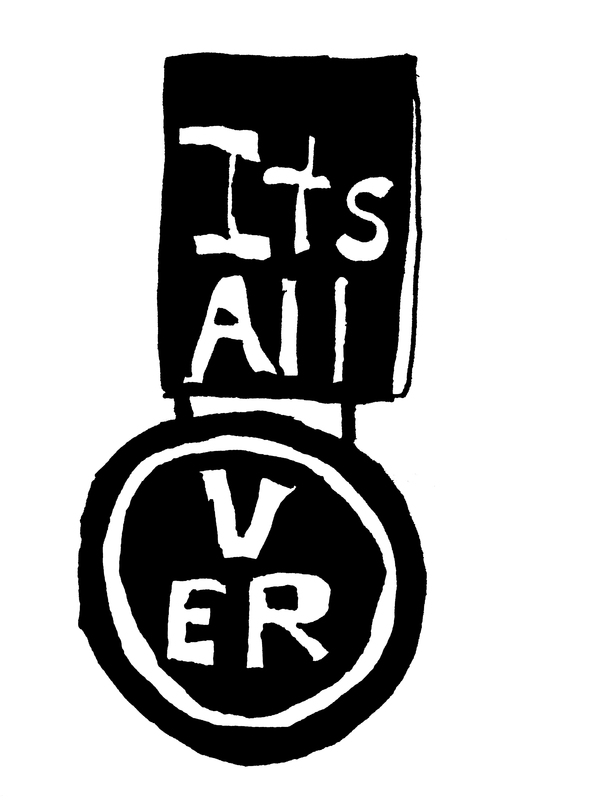 Explanatory video #1 ‘It’s all Over’ — why so special?? from mr sterile on Vimeo. We’re very happy to be promoting this wee project. On the cusp of heading to Australia tomorrow for three shows, honing the playing in preparation of recording in a couple of weeks, with the ultimate aim of releasing the new album maybe mid-Septemberish, we wish to announce the following companion project. The new album ‘It’s All Over’ is shaping up to be quite exciting ladies, gents and every other valuable human. ‘It’s All Over’, is the working title of the next 11 songs to be captured to digital format, will be recorded again with Mike Gibson who recorded the last album Transit, and let loose into the world. These are tales of invisible histories, entities real and imaginary, victories real, successes dubious and realities and lives defined by the margins they exist in. And we reach out to all you interested readers and listeners to help with our crowd funding efforts. We are self funding the recording to the best standard we can, the production of the physical product is what we’re asking help with. And we’re dishing out the rewards/gifts for those willing to participate, please jump to the Pozible site to explore in depth. We have played with crowdfunding in the past, and it’s been a lot of work but also enormous fun. It seems to be a brilliant platform for connecting with others interested in supporting what we do. It’s an interesting thing, from a musicians perspective, to already have generated interest and commitment from interested listeners BEFORE an albums released, a hum is created and this generates further motivation and commitment to the project. So we thank you in advance for the participation. And if you are not in a position to financially contribute, then no worries, these are tough times, the album will be available soon enough via bandcamp to stream, perhaps you can simple share across your online networks. We will be most appreciative. With our utmost thanks in advance. We recent played our first shows for the year, at the fantastic A.E.B in Levin, and Great Job in Palmerston North. Two very warm and supportive venues. We’d been shut away in doors for months working on new songs and now they are ready to road test…so off we go. 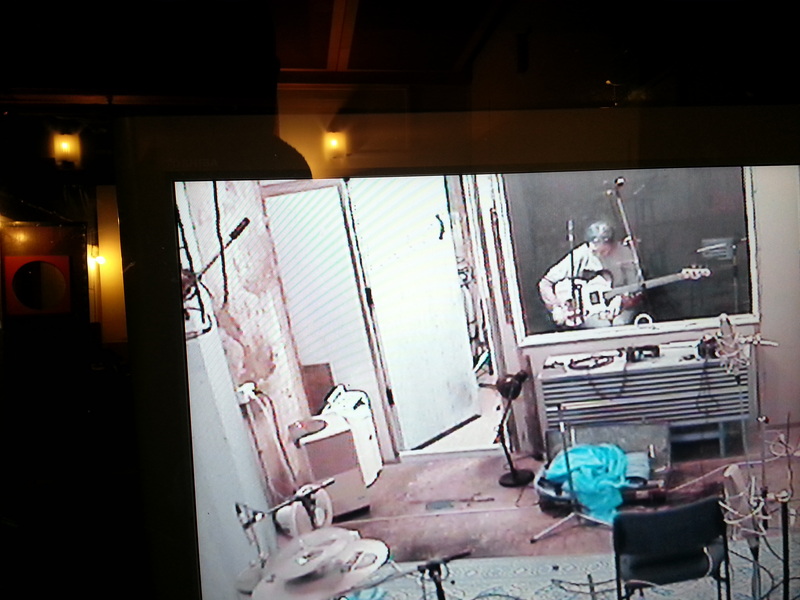 We have book Munki Studio in early July to start recording the 11 songs for the new album. Really excellent to get this confirmed, and doubly-so to be working with Mike Gibson again, who had his hands securely on the wheel when we recorded Transit. And alongside the recording process we will be rolling out a crowdfunding project to help raise a few dollars so we can package the coming album as a pretty piece of art. So needless-to-say, there will be some fine, tasty, and sparkly items to be obtains in various pledge categories – more on that later. 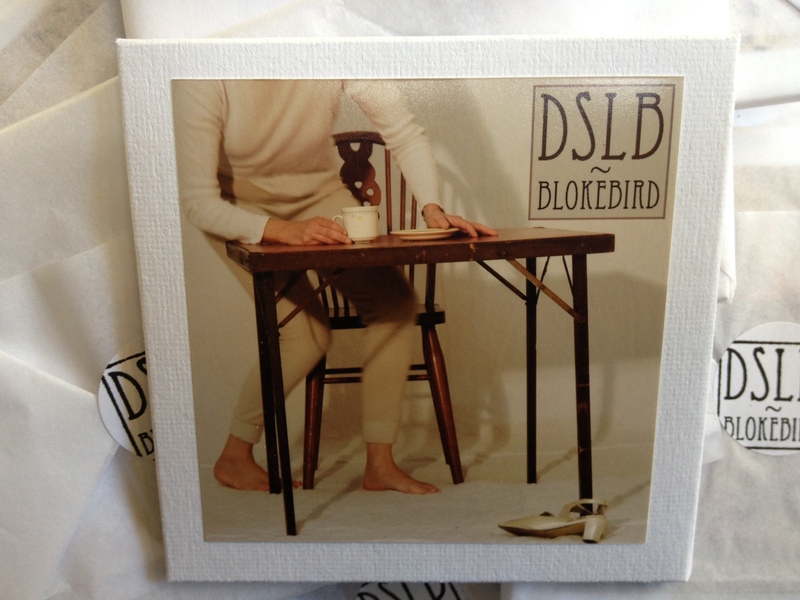 DSLB’s first solo album, BlokeBird was released tonight on our skirted Records label. Over a few bottles of Parrot Dog, we (Kieran and I) celebrated our 11th skirted release. BlokeBird has been much loved in the making. Big ups to those folk who have contributed colour and graft. Cheers to Stefan Neville of Pumice fame for a little classy noodling on File Miles from Anywhere, to Jack Trolove for great photos and to Kieran for hours and hours and hours of everything else. DSLB (Ditzy Squall’s Lunchbox) has morphed out of a cranking Wellington-based project called Ditzy Squall (Chrissie Butler, Aaron Lloydd and Kieran Monaghan). The sideways lyrics and stacked up patterns still dominate the songs, but in BlokeBird the songs are anchored in low-fi clatter and field recordings rather than the angular pop of Ditzy. The last track, Lucky Hunt also has a story of its own. It was an attempt at a day tape, a project constraint where you give yourself 24 hours to write and package a whole album of songs. My 24 hours was an overnighter in a hut, in the bush, in the rain, with Garageband and a little orange guitar for company. I didn’t crank out and package a complete album. Instead I wrote Lucky Hunt and made a “behind the scenes” spoof video of “The making of Lucky Hunt”. That’s the video below. Not very serious, but at least you now have some insider knowledge of the instrumentation!! You can find out more about BlokeBird and DSLB on DSLB’s Facebook page. Or check out the skirted Records BandCamp for DSLB’s BlokeBird and take a look at Ditzy Squall’s Skirt. If PayPal isn’t your thing, drop us an email and we can see what we can do. If there was any one band you could not pigeonhole, it’s this one. Most favorably dubbed “outsider punk”,mr sterile Assembly (also simply known as the Assembly) has grown since the last time we saw them in Singapore in ’07. With Transit, a fifth release just in time for their tenth anniversary, the idealism of drum and bass duo Kieran Monaghan and Chrissie Butler shines through. A collaborative project, Transit is not your ordinary album pressed on CD, listened to x number of times, and then all but forgotten. It is instead a multidisciplinary endeavour of sorts, with each song accompanied by an art piece, which culminated into an exhibition which we here in Singapore regret not being able to physically see. The title of the album is brilliantly apt. As the tracks flit from jazz to math rock to ska to folk, one imagines themselves being transported from one place to another, and the transitions feel almost seamless. Interspersed with spoken word, shrill/soothing vocals, offbeat signatures, and groovy basslines, this sounds too chaotic to even be listenable. But the Assembly somehow manage to execute the album with precision, with their punk roots undeniably creeping in at different points throughout. And what is music without words, without lyrics? Amidst the discordance lie some of the most incisive writing, as we’re taken on yet another journey again — this time through anti-war sentiments, Hone Tuwhare‘s poems, New Zealand’s nuclear-free legislation, and even an ode to a migrant worker in Singapore. And as if everything else weren’t enough, the Assembly have included lyrics to their songs as hyperlinks on their website, for those of us so inclined to delve into the nuances of their artistic offering. This literary cacophony will be touring SE Asia starting from 15th July, with 2 dates (28th and 29th July) in Singapore. What else can we say? You can’t not witness them in their full, live, performative glory. WHAT: EXHIBITION & ALBUM launch party! Transit, the 5th release by Aotearoa New Zealand’s mr sterile Assembly is stonking. 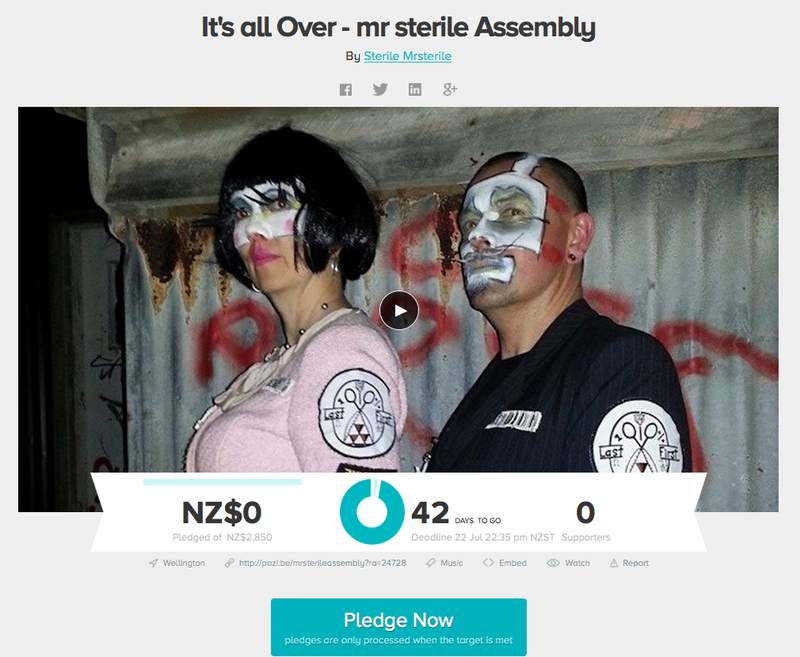 Dubbed as “one of the most interesting, if hopelessly below-the-pop-culture-radar bands in New Zealand,” the irrepressible two-piece of mr sterile and Chrissie Butler have reeled in a swathe of Aotearoa’s finest musicans and artists. Mixed and mastered by the fine hands of Mike Gibson, the sound is a rich weave of heavy bass and drums built around multi-layered vocals. Jeff Henderson, of screaming jazz improv sax fame brings the melodics, alongside a scattering of Nell Thomas (Orchestra of Spheres) on the gamelan gender and the solid bass grooves of Aaron Lloydd. 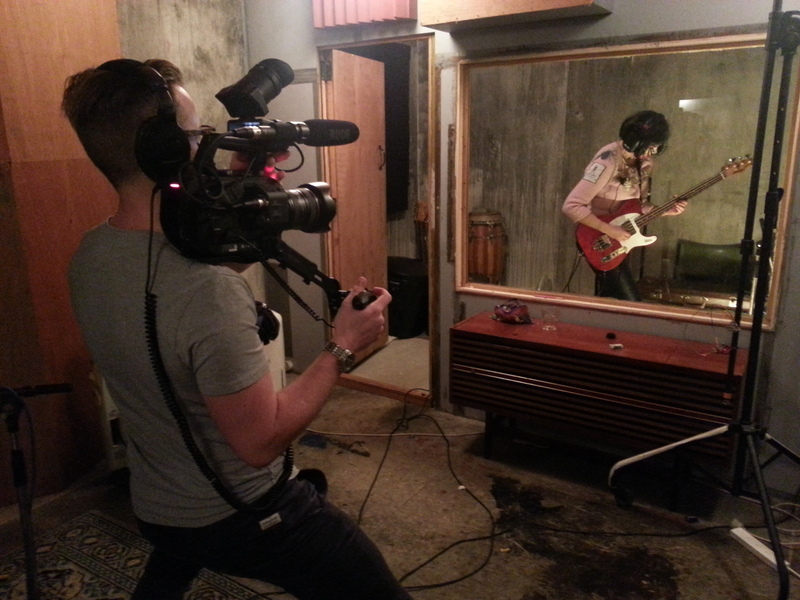 Dean Hapeta aka Te Kupu, Upper Hutt Posse, has been a key collaborator on the project, recording all the vox, sax and extra sounds as well as contributing his own vox and text. Lyrical collaborations with Wellington poet Maria McMillan have also found their place. The gathering of the 11 images for the 11 tracks has been a momentous effort. Eight of the works have been commissioned specifically for Transit. The artists, Andrew Ross, Deborah Barton, James Robinson, Campbell Kneale, Stefan Neville, Kerry-Ann Lee, Jeff Henderson, and Garage Collective, responded as they desired, creating a powerful collection to accompany the songs. Two works are from artists Tao Wells and Roger Morris, who have gifted established works to be tagged to the songs. The eleventh art work is a very special Wayang puppet received as a gift when the Assembly played in Java on their south east Asia tour in 2007. 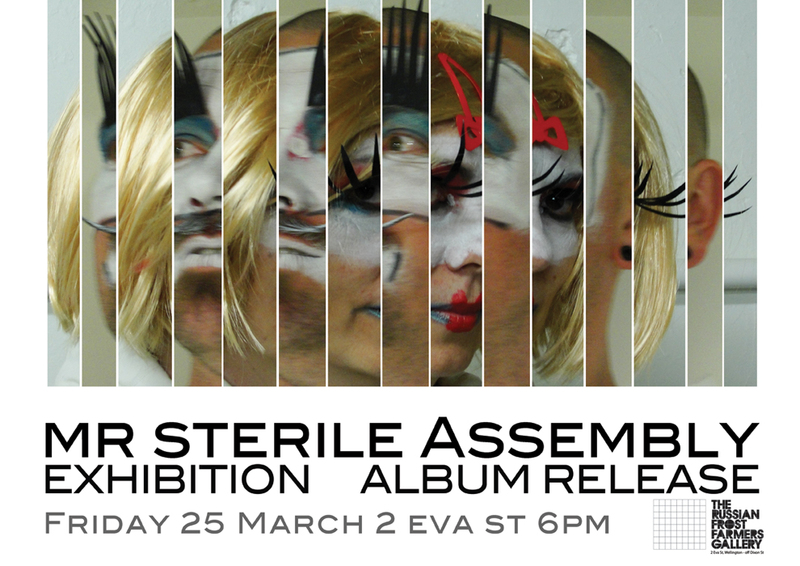 In 2011 mr sterile Assembly will tour the exhibition across the country in between tours to Australia in April, and Singapore, Malaysia, and Indonesia in July. Transit has been released by both our own Skirted Records (NZ), in Tenzenmen Records (Aus), with the support of Creative New Zealand. Transit almost in the bag. Recording and mixing is almost complete. 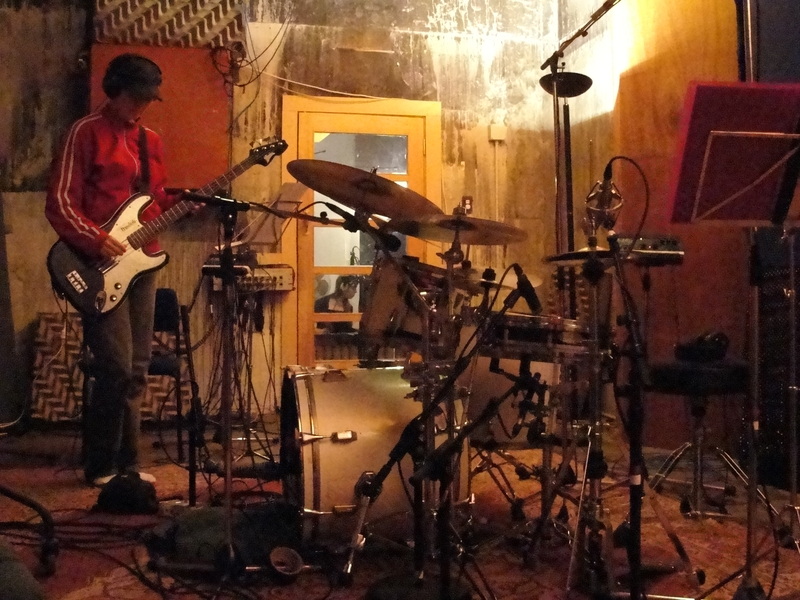 All bass & drum tracks put down at Trident, the old home of the NZ SIS, now a fine recording studio. The vocals, sax, & incidental noise recorded at Matakahi Studio, run by Te Kupu of Upper Hutt Posse fame. We’ve returned to Trident to mix, in the capable hands of Mike Gibson. The CD package is almost complete as well. We have pulled out the stops to produce an extra beautiful package. The album will have two booklets which will include 11 unique works of art. We have contacted some close friends & wonderful people to collaborate in a visual sense. We allocated a track to these folk who then reinterpreted the song to there own visual style. The contributions include paints, collage, photography, drawings, digital prints, and a Javanese shadow puppet. Will upload some images sometime soon.